Sophisticated antimalware, multilayered protection for your organization’s data. Eliminates all types of threats, including ransomware, phishing, botnets and targeted attacks. Benefit from optional cloud-powered scanning for even better performance and detection. ESET File Security delivers proven protection while leaving more system resources for essential programs that end users depend on daily. 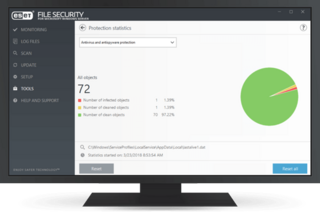 The solution comes fully manageable via ESET Security Management Center delivering a perfect “look & see” overview of the network security status from a single pane of glass. Virtual machines can be compromised by malware just like physical machines. 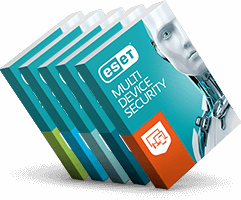 ESET File Security for Microsoft Azure utilizes the same technology as the on-premises version of the product while adding easy to use, one-click automatic deployment into Microsoft Azure environment. To activate ESET File Security VM extension, ESET customers can use their current valid ESET File Security license, making the migration from physical to Azure virtual environment easy and cost-effective. 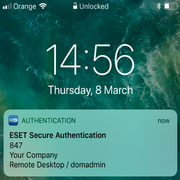 For a trial license and new license, after deployment on a Windows Server virtual machine, ESET File Security VM extension simply requires activation with a license key.